In 1818, after years of struggles, the Connecticut legislature ratified a new constitution which ended the state sponsorship of the Congregational Church and provided full religious freedom for Connecticut’s citizens. This new found freedom opened the door and allowed the Baptists and other religious dissenters to flourish. As a result, in 1823 the Connecticut Baptist Convention was formed. The Convention began the practice of hiring pastors to work as “in-state” missionaries, often having 3 or 4 employed at one time. The Quaker Hill Baptist Church is one of the results of those efforts. Sometime shortly before 1835, the Board of the Connecticut Baptist Convention appointed the Reverend Erastus Doty to “labor in this parish”, that is, the village of Quaker Hill. The Town of Waterford operated a one room school house for the children of Quaker Hill residents down the hill from the church’s location, approximately at the intersection of Quaker Lane and the Old Norwich Road. Here, in the years previous to 1835, occasional Baptist worship services were held. As Rev. Erastus Doty began holding more regular services, and seeing the need for a Baptist church in the community, he, along with other local residents, organized a Baptist church officially named The Second Baptist Church in Waterford. Rouse Browning donated the property where the building is currently located. Donations poured in for the construction of the building, designed and built by the Norwich firm of Shepard and Rogers. Joshua W. Shepard was a somewhat famous architect noted for his Greek Revival designs and Caleb B. Rogers, a Montville native and noted builder in and around the Norwich area. The original building cost approximately $1000. 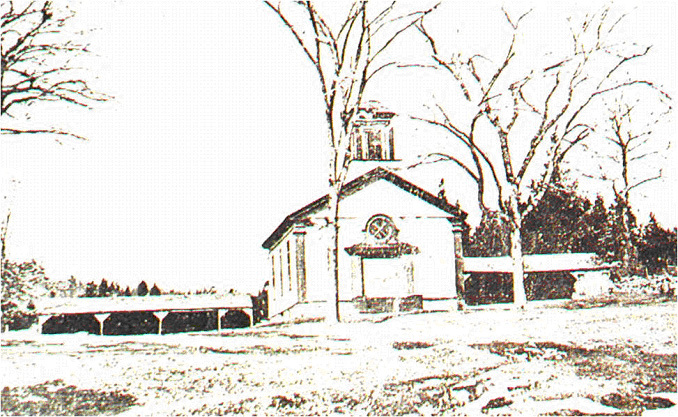 In 1942, the name of “The Second Baptist Church of Waterford” was changed to “The Quaker Hill Baptist Church” . The QHBC grew over the years, expanding a variety of times, and most recently in 1983, our church outgrew its space, formed a long range planning team and decided to add parking, a fellowship hall, offices, new classrooms and kitchen and expand the sanctuary, while maintaining the historical nature of the original building. The sanctuary was separated from the back half of the building, rotated 180 degrees and moved forward onto a new foundation. A new fellowship hall was built between the separated sanctuary and old rear section. Restoration to the original sanctuary was completed and dedication of the project took place in 1986. In 1995 the basement to the sanctuary was converted into 5 classrooms, the kitchen and parking lots were completed and the older rear portion of the facility was renovated.